Όλα στο σύμπαν αφορούν τη μεταμόρφωση.Η ζωή μας μοιάζει με τις σκέψεις που τη διαμορφώνουν. Metaphysical and psychic phenomena have long existed on the fringes of conventional science and academia. ESP, Clairvoyance, Telekinesis and Astral traveling have all been relegated to the back seat of mainstream, accepted belief systems in spite of an extensive mention of these practices down the ages, across myriad cultures. It has always been challenging for practitioners of the science to be validated by the prevailing status quo. That however changed in 1995 when the CIA declassified a top secret program that had been training individuals in the esoteric science of 'Remote Viewing' in which, it was claimed, people were able to envision ongoing activities in distant places and future events. Although reminiscent of a Sci-Fi yarn, Remote viewing was tested and deployed under rigorous scientific conditions to obtain data about foreign espionage activities, counter terrorism efforts, secret military bases abroad and hidden missiles. It recognized the inherent psychic potential in humans and attempted to harness these special faculties or 'powers' for the purposes of intelligence gathering, often of a vital nature. The initial testing was done at the Stanford Research Institute (SRI) where extensive investigations were carried out into the human mind's capacity to transcend all bounds of time and space. SRI's research was supported by the CIA and other government agencies for over two decades. Russell Targ, Hal Puthoff and Ingo Swann were the original founders of this once-secret program. 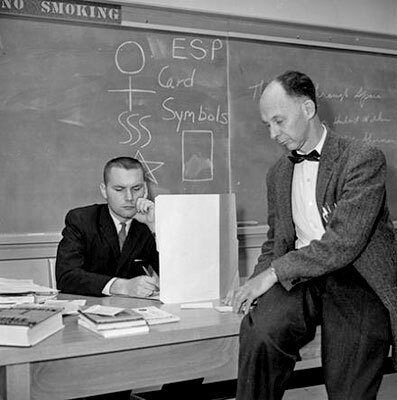 Their task was to learn to understand psychic abilities, and to use these abilities to gather information about the Soviet Union during the Cold War. They found from years of experience that people can quickly learn to do remote viewing, and can frequently incorporate this direct knowing of the world - both present and future - into their lives. They were the original 'Psi Spies' named after the title of Jim Marrs' exhaustive study of the phenomenon. The project produced some remarkable results. Among them were detailed renderings of secret Soviet bases, the whereabouts of Red Brigade terrorism hostages in Italy, location of victims in the Israeli hostage crisis, locations of Scud missiles during the first Gulf War and even the impending attack on the Twin Towers in NY! (done by a private contractor and ignored until after the event). The program eventually came to be called 'Operation Stargate'. The initial media flurry (Ted Koppel's Nightline, ABC, The Washington Post, The New York Times, etc.) that surrounded the declassification in 1995 uncovered some surprising details. The names that surfaced at the time were of Ingo Swann, who initially helmed the project, Dr. Russell Targ, Pat Price, Dr. Hal Puthoff, Joseph McMoneagle and others, an interesting group comprised of respected senior military personnel, path breaking scientists and academic luminaries. On ABC's Nightline, one of the operatives, Joe McMoneagle was put to the test by none other than Ted Koppel. He was able to prove the authenticity of the system with flying colors. Remote viewers can often contact, experience and describe a hidden object, or a remote natural or architectural site, based on the presence of a cooperative person at the distant location, or when given geographical coordinates, or some other target demarcation - which they call an 'address'. Shape, form and color are described much more reliably than the target's name, function, or other analytical information. In addition to vivid visual imagery, viewers sometimes describe associated feelings, sounds, smells and even electrical or magnetic fields. Blueprint accuracy has occasionally been achieved in these double-blind experiments, and reliability in a series can be as high as 80 per cent. In 1984 Targ organized a pair of successful 10,000-mile remote viewing experiments between Moscow and San Francisco with famed Russian healer Djuna Davitashvili. Djuna's task was to describe where a colleague would be hiding in San Francisco. She had to focus her attention ten thousand miles to the west and two hours into the future to correctly describe his location. These experiments were performed under the auspices and control of the USSR Academy of Sciences. Djuna hit the mark on all counts and the experiment was declared a resounding success. This trial was such a stunning success that they were forced to undergo a formal Congressional investigation to determine if there had been a breach in National Security. Of course, none was ever found, and the government supported them for another fifteen years. Data from these formal and controlled SRI investigations were highly statistically significant (thousands of times greater than chance expectation), and have been published in the world's most prestigious journals, such as Nature, The Proceedings of the Institute of Electrical and Electronics Engineers, and The Proceedings of the American Academy of Sciences. The twenty years of remote viewing research conducted for the CIA is outlined in ‘Miracles of Mind: Exploring Non-local Consciousness and Spiritual Healing', co-authored by Targ and Katra. Recent research in areas as different as distant healing and quantum physics are in agreement with the oldest spiritual teachings of the sages of India, who taught that "separation is an illusion." The powers we are discovering now are described by Rishis as 'Siddhis', or fruits of deep penance and arcane Yogic techniques, verbally transmitted, only known to inner circles. The military and institutional exploitation of this timeless phenomenon is alarming. It is being harnessed by world governments in a game of cosmic brinkmanship, none of whom can possibly know the complete ramifications of unleashing such latently devastating forces without comprehending the holistic nature of the universe and interconnectedness of all life. What is remarkable however, is the fact that the cat is out of the bag finally with regard to parapsychology, metaphysics and the occult. The so-called 'mainstream' has not only recognized the stunning potential of psychic energy but has gone so far as to harness it for territorial one-upmanship. The human race only needs to realize the vast reserves of raw power that it has at its disposal to effect profound and genuine transformation of the human condition on a global scale. Στο παρόν blog εκτός από άρθρα των διαχειριστών, αναδημοσιεύονται άρθρα από άλλα blogs με αναφορά πηγής στο κάτω μέρος κάθε άρθρου. - Οι φωτογραφίες και τα βίντεο προέρχονται από το διαδίκτυο, κυρίως απο τις εικόνες google και το U-tube και ανήκουν αποκλειστικά στους δημιουργούς τους. Εάν κατά λάθος έχει δημοσιευτεί εικόνα ή βίντεο που διέπεται από πνευματικά δικαιώματα, επικοινωνήστε μαζί μας και θα αφαιρεθεί. To blog αποτελεί μία συλλογή άρθρων με θέμα τη μεταφυσική και τα μυστήρια της ζωής.Ο,τι γράφεται εδώ δεν εκφράζει απαραίτητα άποψη δική μου. Σκοπός ολόκληρης της ζωής μας είναι να εξελιχθούμε και όλα τα έμβια όντα έχουν το αναφαίρετο δικαίωμα επιδίωξης μιας τέτοιας εξέλιξης στον βαθμό των ικανοτήτων τους. The Real Meaning of the Term "Stargate"
Aleister Crowley and the "Sirians"
Αν ο Γαβράς ψάχνεται για το επόμενο θρίλερ του, ας πάει στη Βενεζουέλα! The happiest people dont necessarily have the best of everything but they make the most of everything. Δεν χρειάζονται ούτε ναοί ούτε πολύπλοκες φιλοσοφίες.Το πνεύμα και η καρδιά μας είναι ο ναός μας.